As if the single knee length sherwani wasn't enough for a style statement, this got doubled up with a two piece top to be adorned with lot of delicate work and styling. Handwork of embroidery and rich orange texture in the bottom brings out the royal ethnicity with a sublime finesse. An out of the world designing and texture gives this a royal traditional look made to compliment the kingship inside you. 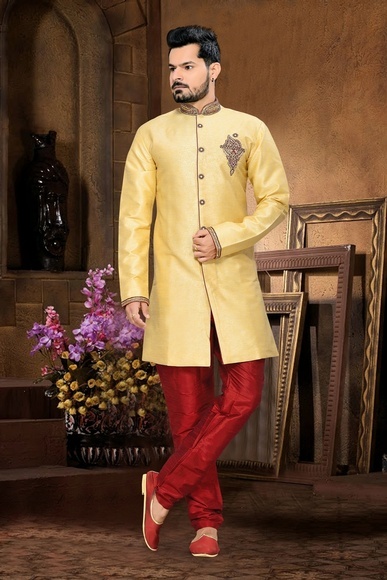 Comes with: sherwani, & bottom patterns selected by you. Shown here: sherwani, churidar, & mojdi. Q. What is the length of sherwani? A. 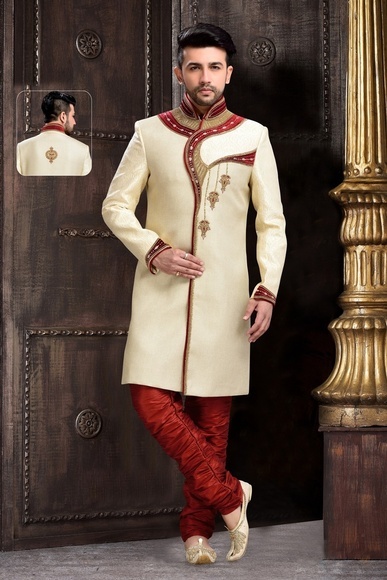 The length of the sherwani is usually upto knee, but in some designs it may be shorter. It varies from design to design. 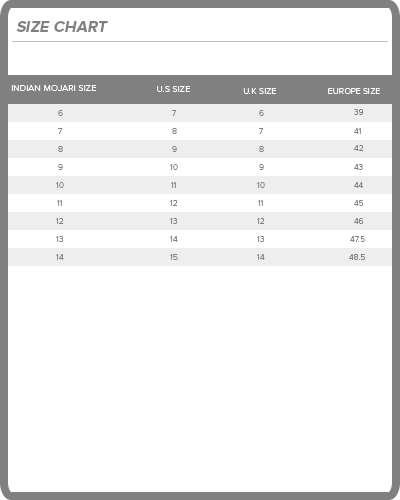 For more info kindly refer to size guide located right next to size selection tab. Q. What type of khesh/stole do you send if I purchase a khesh/stole along with my sherwani? A. We send the best suitable khesh/stole for your sherwani from the style pattern seleted by you. A contrast colour khesh/stole is selected for the sherwani to make it a perfect style statement in the ceremony. Q. What type of safa/wedding turban do you send if I purchase a safa/wedding turban along with my sherwani? A. We send the best suitable safa/wedding turban for your sherwani from the style pattern selected by you. Usually a contrast colour safa/wedding turban is selected for the sherwani but at times a matching safa also looks good. It all depends on the design of sherwani. A. Yes safa/wedding turban does have a size,that is regular and large. Regular size fits mostly to all people with normal head size. Large is required for people having bigger head size. We send regular size in the order. But on special request we can make a large size. Q. What type of mojdi do you send if I purchase a mojdi along with my sherwani? A. We send the best suitable mojdi for your sherwani from the style pattern selected by you. Usually mojdi is made out of matching fabric that of sherwani, rarely in any designs of sherwani a mojdi is of contrast shade. Q. What is a scarf? Does it come along with the sherwani if shown in the picture? A. Yes. Scarf is used as a neck accessory in some sherwani designs. It comes with velcro so that you can adjust it on your neck, & mostly the scarf is of satin fabric. Q. What is a broach? Does it come along with the sherwani if shown in the picture? A. Yes. Broach is a decorative jewellery item attached to scarf. It is usually made of metal but at times bronze or some other material is also used. 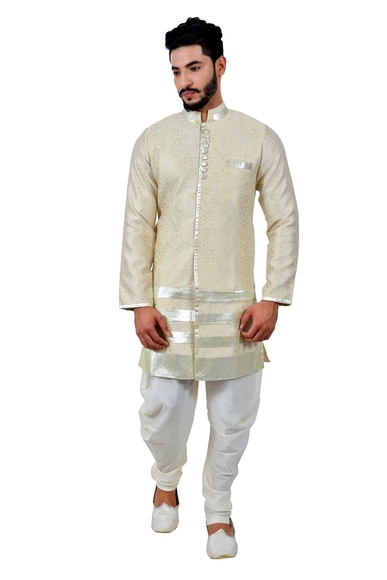 It comes along with the sherwani if shown in the picture. Q. Mojari, safa, & khesh are included in the mentioned price of sherwani? A. Mojari, khesh, & safa are accessories which are not included in the price of sherwani. You have to buy it separately. Q. 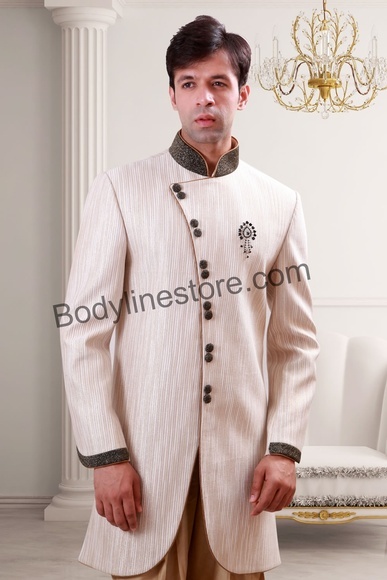 Can I change the cut (shape) of the sherwani after placing the order? A. If the sherwani coat is having round shape and you want to change it to square shape then we will do the same for you at no extra cost. Providedly you inform about the same within 24 hours of placing the order. A. Sherwani designs are available in catalogue colours only, if you need any kind of customization in colour then you should contact to our customer care department. Q. 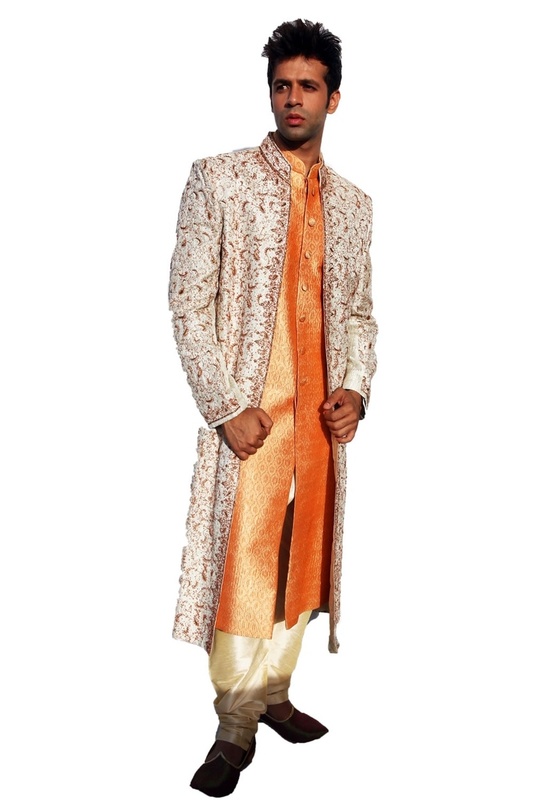 Can I customize my sherwani design from an indo western design or jodhpuri design? *If any item showing sword with model then it?s only for modelling purpose. * For custom fit, go to ?customize & buy? section on the product page.